Moving our little family overseas has been one wild ride. We left California for Arizona last September, then on to Utah, jet to France, ferry to Ireland and finally Scotland. Exhausted doesn't even begin to cover it. Slowly but surely we are crafting our new life here in Edinburgh. Situated in the heart of the city, we're surrounded by modern comforts and old world curiosities all mish-mashed together in the most delightful way. Aside from moving abroad & mothering the two cutest tornadoes on the planet, the past quarter has been all about FASHION prints; which has claimed a special place in my heart. 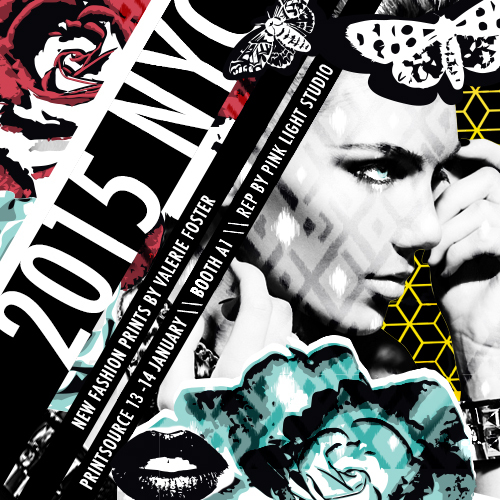 My latest work will be shown in NYC January 13-14 @ Printsource.